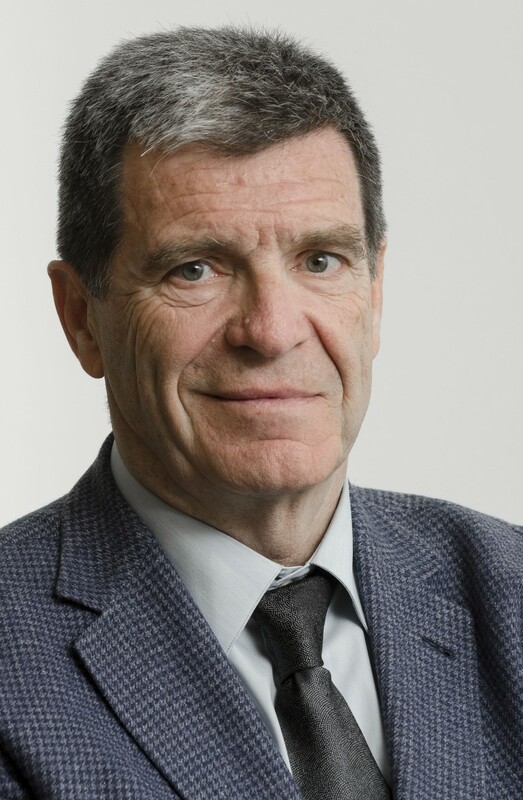 For ESPO’s Port Pro of the Month for December, we decided to interview Mr. Aurelio Martínez Estévez, Chairman of the Board of Directors of the Port of Valencia. In this interview, we talk about his vision for the Port of Valencia for the next decades, the development of a new container terminal, its focus on the Asian markets, and the importance of the cruise and ferry business in the Port and many more interesting topics. Can you briefly present the Port of Valencia? What are its main characteristics and challenges? The port of Valencia is one of the main links in the logistics chain in the Western Mediterranean. It is the gateway for more than a third of the goods entering or leaving Spain and it is the first Spanish port for 84 countries in the world, with almost a hundred regular lines connecting the Iberian Peninsula and neighbouring countries with a thousand ports on five continents. Valenciaport is a hub port with a critical mass of cargo and traffic management that makes it attractive for large ships. It is also a port specialising in containers, which combines almost at 50% import/export with transshipment. We reach 88 ports in China, 30 in Japan and more than 50 in the United States, to give just a few examples; but we are also the gateway to getting consumer goods to any corner of the world. There are three countries on the planet to which we only send one container per year, and another six countries with which we only handle two TEUs/year. Last October we surpassed 5 million TEUs, in year-on-year terms, and if nothing changes, we will close the year with nearly 5.2 million containers. It is a success of the Port Community of Valencia, of its businessmen and workers. As a Port Authority, we want to be leaders and the best in providing the services that our clients demand. The Port of Valencia aims to become the third container port in Europe. Can you tell us which steps the port is taking to achieve this aim? Containers are of strategic importance for Valenciaport. It amounts to 75% of our total traffic. According to our forecasts, in 2019 we will exceed 5.4 million TEUs handled and in 2022 we will reach 6.5 million. The time has come to act to avoid inefficiency problems in our terminals, since in 5 or 6 years we will be at 85% of our capacity. That will be the moment to build the fourth container terminal at the port of Valencia. On 23 November the Board of Directors of the Port Authority of Valencia approved the specifications for the construction and management of a terminal with a berthing line of almost 2 km and a capacity for 5 million TEUs. When fully operational, Valenciaport will be able to manage up to 12.5 million containers; a capacity that could place us in the podium of the three major ports of Europe. Although this is not an objective in itself. What are the main challenges the container business is facing in the Port of Valencia? Are you developing strategies to address those challenges? The construction of the new container terminal entails a series of challenges that will have to be overcome in parallel, such as the opening of a northern access to the port through an underground tunnel and the immersion of all port activity in new 4.0 and blockchain technologies, without losing sight of our environmental commitment to decarbonisation of port activity to reach energy self-sufficiency and zero emission. The new terminal will have a berthing line depth of up to 20 metres, as it will be built bearing in mind the new 430-metre-long mega-vessels and the logistical-port scenarios for the next 50 years. Exports and imports to and from China are steadily growing in the Port of Valencia. China’s Belt and Road Initiative (BRI) seeks to expand maritime routes and land infrastructure networks connecting China with Asia, Africa and Europe, boosting trade and economic growth. What is the approach of the Port of Valencia towards this initiative? How can this initiative be of benefit for the port? Now the port of Valencia has once again aroused the interest of China. A tradition and a culture are recovered. 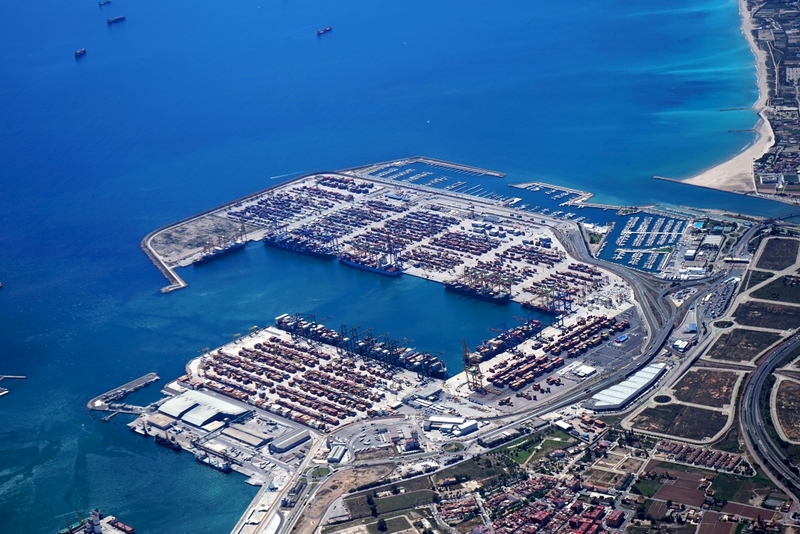 Chinese companies are again interested in the port of Valencia, its connectivity, the power of its hinterland and its centrality in the Mediterranean basin. Every month we visit or receive political, port or business representatives from Chinese regions or ports. The port of Valencia also features on Chinese media. COSCO's decision to invest in Valencia of course helps. A couple of years ago, Valenciaport was connected to 53 ports in China. Currently, we are connected to 88 ports. Now, our goal is to consolidate these excellent relationships and develop projects that facilitate and streamline trade between Asian and European companies using modern technological tools and blockchain solutions. In fact, the centrality and bridge function of Valenciaport between Asia, America, Africa and Europe encouraged us to create the Valencia Container Freight Index VCFI; an index to track the evolution of charges between the Mediterranean and various economic areas of the world. A tool at the service of import/export; and therefore an initiative that benefits both our clients and users. The Port of Valencia is located on the Mediterranean Corridor of the Trans-European Transport Network (TEN-T). How has being part of the TEN-T Network been of benefit to the port? At present, competition is not between ports, but between territories. That is why we are immersed in a plan to expand and strengthen relationships with users and new potential clients of our hinterland. The Mediterranean Corridor will allow us to expand our area of influence. We are located in the centre of this corridor, and the connection with the Cantabrian Sea through Sagunto-Teruel-Zaragoza-Bilbao and with the Atlantic through Madrid-Lisbon converge in Valencia. The fact that the European Parliament has recognised the importance of the connections Valencia-Zaragoza and Valencia-Madrid on the Mediterranean Corridor of European network (CEF II) will bring significant competitive advantages for companies in our hinterland, and even for other ports in the western Mediterranean. But if rail corridors are important, so are sea connections between ports. Europe has 1,200 ports on its 70,000 kilometres of coastline. We must bear in mind that three quarters of goods from outside the EU (74%) enter or leave the EU through its ports, whereas 37% of goods exchanged within the EU transit by ship; they move from port to port. The cruise and ferry business is an important activity in your port. What are the main challenges? Do you foresee a bright future for the cruise and ferry business in your port? The port of Valencia is an important commercial step crossing to the Balearic Islands. It is an area with ferries and cruises. More than one million passengers transit through Valenciaport every year; 40% of which are cruise ship tourists. The rest are mainly traffic with Palma de Mallorca and Ibiza. In relation to the cruise industry, the city of Valencia presents a diversified offer, with sustainable shore excursions that can be carried out both in the capital and in the region. There are many touristic opportunities to visit Valencia! In the last year the municipality has inaugurated an extensive network of bicycle lanes that allow cyclists to explore the historic centre, the area of the City of Arts and Sciences and the beaches, safely on two wheels. Those who want more excitement in their excursions during their stay in Valencia may choose to participate in water activities. For lovers of silence and nature, the excursion to the Albufera Natural Park is undoubtedly the best option. The Albufera is a Mediterranean ecosystem that covers 20,000 hectares of virgin beaches of dunes, forests, rice fields and a large lake where you can enjoy boat rides and discover the wildlife that lives there. Soon we will announce our new project for a passenger terminal and port area. But in any case, in the port we have conversations with the local authorities to adjust future investments to the tourist model that the city proposes. In ESPO’s Environmental Report for 2018, the relationship with the local community features on the fourth place in the Top 10 environmental priorities for ports. 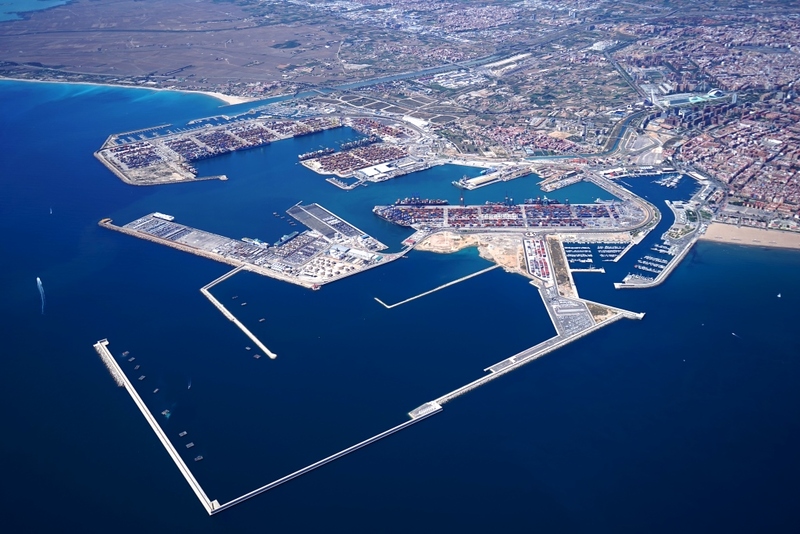 Does the Port of Valencia have a strategy in place to ensure a good port-city relationship? What is the added value of the port for the city and the wider region? Sustainability and eco-efficiency are concepts that are present in all the decisions of the Valencia Port Authority. Directly or jointly with the Valenciaport Foundation, we participate in the most ambitious European environmental programmes. This is the case of GAINN4SHIP INNOVATION, GAINN4MOS and CORE LNG AS HIVE, whose aim is to reduce oil-based fuels and replace them progressively with Liquefied Natural Gas (LNG). And one last important detail: the port of Valencia is one of the few major ports in the world located near a natural park; and between two beaches (Malvarrosa and El Saler), distinguished with the blue flags of the European Union. The port of Valencia is one of the main economic drivers of the city of Valencia. It generates 2.5 billion euros of value added, which means 2.4 percent of regional GDP. And in terms of employment, Valenciaport makes it possible to generate almost 39,000 jobs. This is 2% of total employment in the region. Decarbonisation is high on the European Union’s agenda. 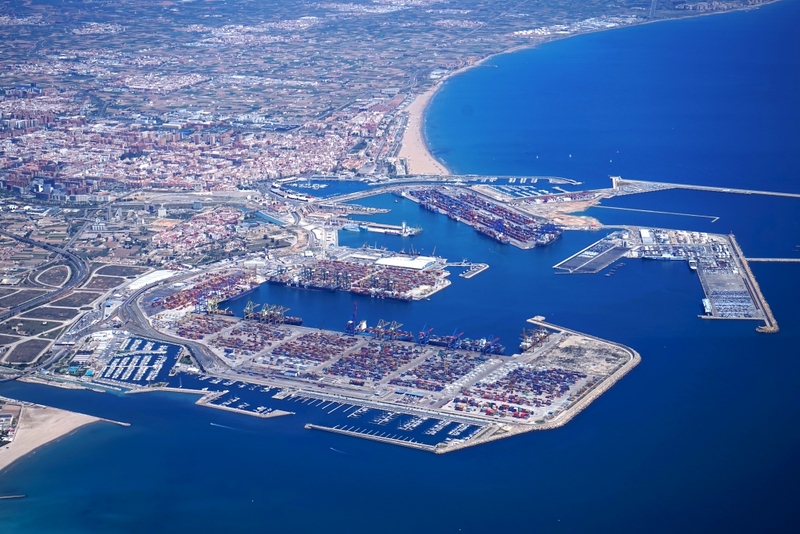 Is the Port of Valencia taking measures to reduce its carbon footprint? Our policy of subsidising projects that enhance eco-efficiency is promoting private investment in environmental improvements of over one million euros per year. Valenciaport has reduced its carbon footprint by 17% in the last six years. We have begun to develop LNG fuelling work for auxiliary engines of ferries that cover the Valencia-Palma de Mallorca lines and within six months we will inaugurate the first fixed gas station of the port. The Valencia Port Authority is carrying out different projects based on clean energy with the aim of reducing the consumption of raw materials and waste generation, through the implementation of circular economy initiatives. We are finalising a project to install wind turbines and introducing the electric vehicle for the work of the Port Authority. Likewise, shortly we will contract an electrical substation focused on attending to a specific concern of the peripheral neighbourhoods and neighbourhood associations—which we fully share—to make possible the connection to the network of the ships when they are moored in the port, as is already beginning to happen in some ports of the world. As recognised by our renewed PERS certificate, we maintain a continuous and transparent environmental management. Since 2015, you have been the Chairman of the Board of Directors of the Port of Valencia. What do you consider as your biggest accomplishment so far as Chairman of the Port of Valencia? What project would you definitely like to see realised during your mandate as Chairman? It is a great satisfaction and a great indicator for the future that the three container terminals in the port of Valencia are managed by the first three liner shipping companies in the world. It is of great value that shipping companies and in the transport sector in general are investing in Valencia, locating their headquarters or building logistics centres. We have notably improved the connectivity, both by sea and by land, and we have recovered the railway corridors that link us with Madrid and bring us closer to the Atlantic and that connect the Mediterranean with the Cantabrian Sea, through Sagunto and Zaragoza. Political decision-makers and society in general are increasingly aware of the importance of logistics and good connections with an important port to facilitate the establishment of companies, and ultimately for the creation of jobs, wealth and welfare. The vindication of the inclusion of the Cantabrian-Mediterranean corridor as a priority axis of the EU has strengthened even more the ties between the regions of Valencia and Aragon and has brought entrepreneurs, trade unions, governors and neighbourhood representatives to the same table. The same applies to the Valencia-Madrid corridor, which is of great strategic importance for the port. Coordinating this set of interests is vital for the proper functioning of a port. For this reason, we have set up the advisory committees for the port-city relationship. These consist of working groups chaired by the mayors of Valencia, Sagunto and Gandia (cities where the ports are managed by the Port Authority of Valencia) where port-city issues are discussed, documented and proposed before being taken to the Board of Directors. For the future, I am confident in the activation of logistics activities zones in Valencia and Sagunto, in the design and implementation of the new passenger area, and in the new northern terminal, with its essential north access gate. These are projects that will fill the port of Valencia in the coming decades and will open the way for Sagunto to take over Valenciaport of the future.